Unfortunately, ZoHa Islands staffers don’t usually have time to help residents with making their property look amazing. However, Second Life has many talented landscape designers, and one of the outstanding ones is Antinéa Torok. Antinéa has been in Second Life for well over seven years. She is partnered in Second Life to Callum McAuley. She has a wonderful, self-depracating sense of humor. Antinéa speaks French and English. Her talent for building and design is evident in her breathtaking Flickr page. I highly recommend that you check it out. You can find it by clicking on this link: Antinéa’s Flickr Page. If you are in need of an amazing sim designer, please contact her inworld and she will discuss your landscaping and designing needs. 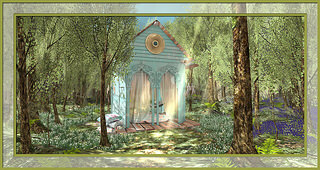 This entry was posted in SHOWCASE and tagged Antinea Torok, Landscape Design in SL, Second Life, ZoHa Islands. Bookmark the permalink. ← Meet Your ZoHa Islands Staff 2015!